So this week’s Memory Monday captures a rare moment that few people even realized took place recently on Sandbridge beach. 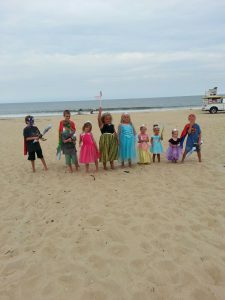 A gathering of superheros took place right here on our sandy shores! Take a look at this photo that came to us from Shelly Mcintyre of Dayton, Ohio who stayed with Sandbridge Blue recently. She obviously has some major connections with crime fighters and heroes as she provided us this picture of these larger than life people who happened to be on the beach one morning. That is one outstanding looking crew on the beach. Great shot Shelly. We feel so much safer knowing these folks vacation on the beaches of Sandbridge. Don’t forget when you have a photo worthy moment to take it, and then please send it to us for us to show on Memory Monday. 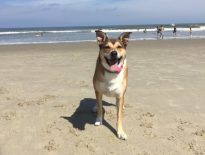 Each week we post a photo here and once per month we draw one of our entrants to win a $100 credit towards their next vacation here at Sandbridge Blue. We look forward to serving Shelly and the superheros again soon, and we look forward to serving you too.